Property 2: In Golden Zone. Beach a minute away! Best Ocean views in Mazatlan!! 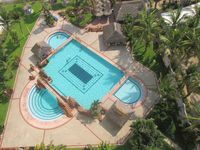 Property 22: Best Ocean views in Mazatlan!! 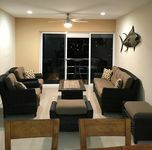 Property 31: Acogedor departamento vacacional en la zona dorada de Mazatlán Sinaloa Mexico !! Property 34: Nice brand new apartment Nice new apartment in Zona Dorada!It's all about! Property 37: Beachside Flat Sleeps 8 in the Heart of Las Olas Altas Historic & Arts District! Casa Cielo, 3 bedroom, 2 bathroom spacious apartment close to EVERYTHING!! Property 44: Casa Cielo, 3 bedroom, 2 bathroom spacious apartment close to EVERYTHING!! ★ Ready for Relax ★ Sun, beach & pool! Property 46: ★ Ready for Relax ★ Sun, beach & pool! We loved staying at Quintas Del Mar 1! The condo was clean, and equipped with all the essentials. The grounds are beautifully maintained. Lots of friendly helpful people that rent or own condos. We loved the quiet atmosphere. The beach was so nice! Downfall- Drain in both showers not the best. Only other negative is furniture in the living room area not very comfortable. Great that we got to meet Maria the owner! Give it a rating of 9/10 ! This was a very nice, comfortable condo. Enjoyed our stay very much! Only 11 pesos a person to get downtown by green bus. Perfect!